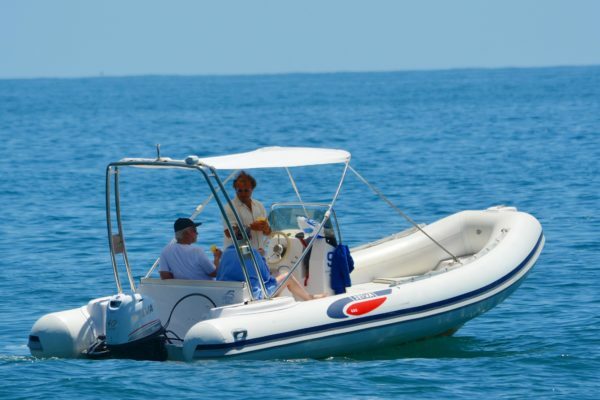 Our fleet boasts a waste rage of rental boats, with and without sailor, able to satisfy every your needs and the ideal solutions to guarantee you the chance to enjoy your sea experiences. 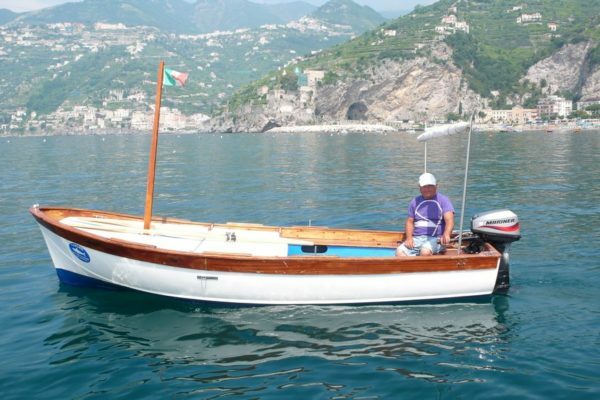 Typical fiberglass motor boat with outboard motor 8 HP. 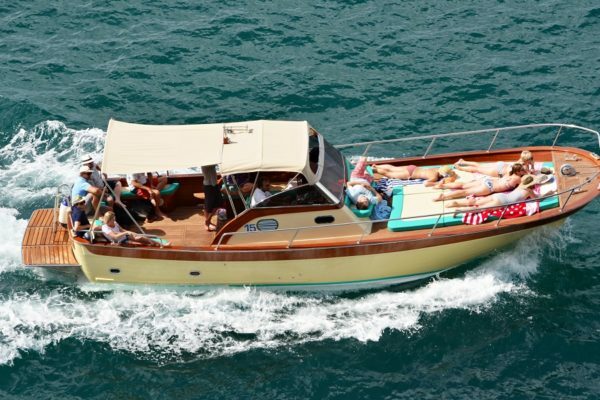 Provided of sun cushions, sun covering and water staircase, the typical fiberglass motor boat is a small and comfortable solution for relaxed sea experiences. 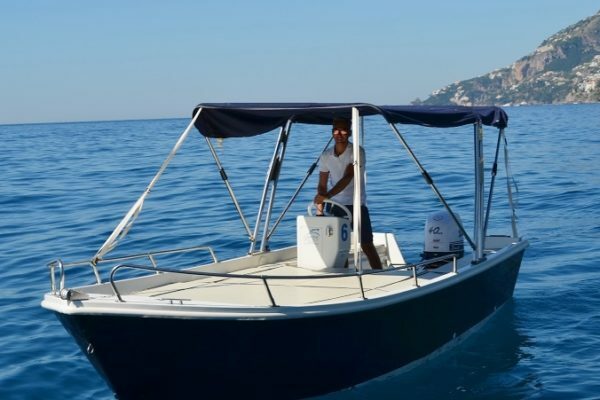 Capone Servizi Marittimi, offers to its guests self drive rubber boats “Selva” of 5,40 and 6,00 mt., completely equipped and provided of 40 HP outboard motor. 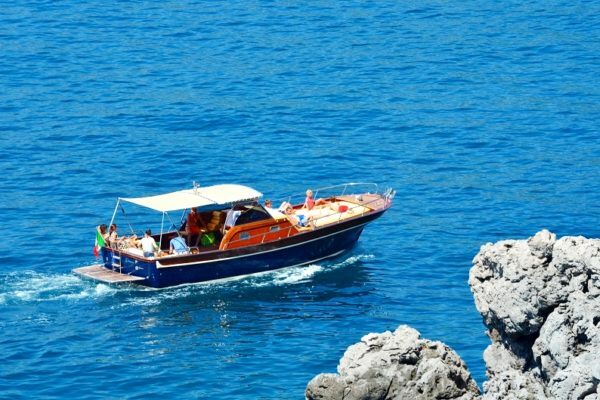 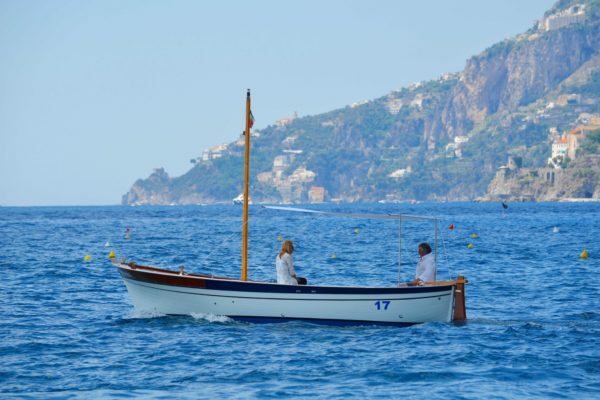 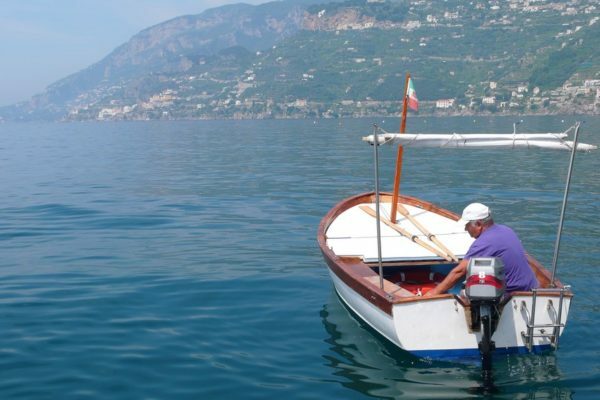 Lightweight, fast and manageable the rubber boat is the ideal solution to spend a funny experience, discovering the best sides of the Amalfi Coast by sea. 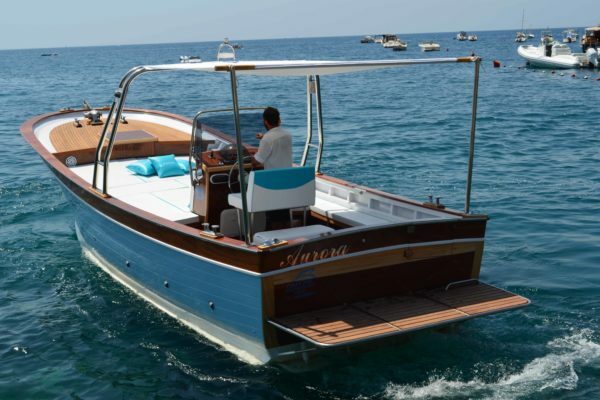 Completely designed by Capone Servizi Marittimi, the Motor Boat 620 was boarn in the year 2015, thanks to the collaboration of a successful local shipyard. 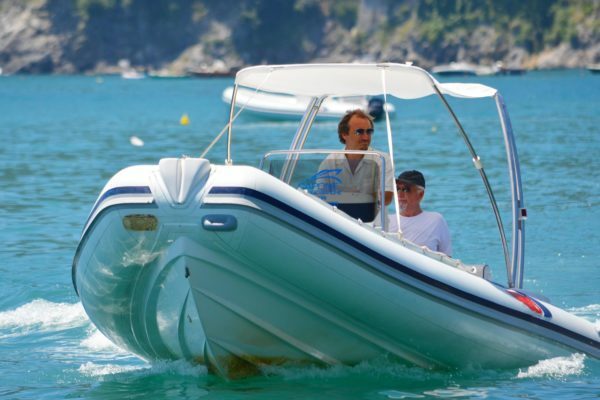 The Motor Boat 620 is a completely equipped, comfortable and versatile fiberglass speed boat, characterized by very large and comfortable spaces and excellent performances. 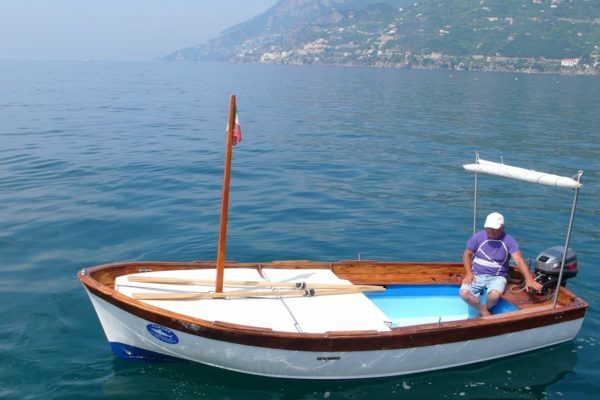 It is motorised with an outboard 40 hp motor. 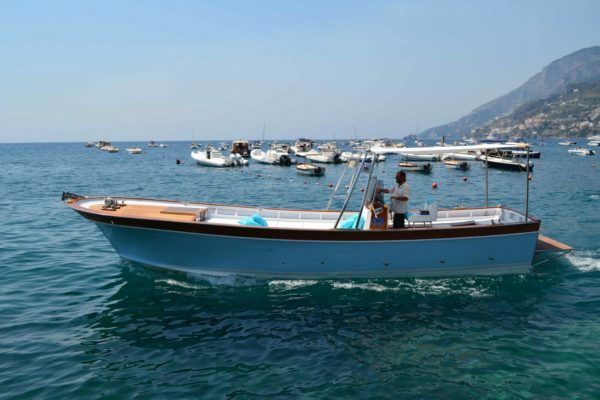 Gozzo Anemone is a wonderful Typical Gozzo Apreamare Smeraldo 7 , characterized by a soft and elegant shape. 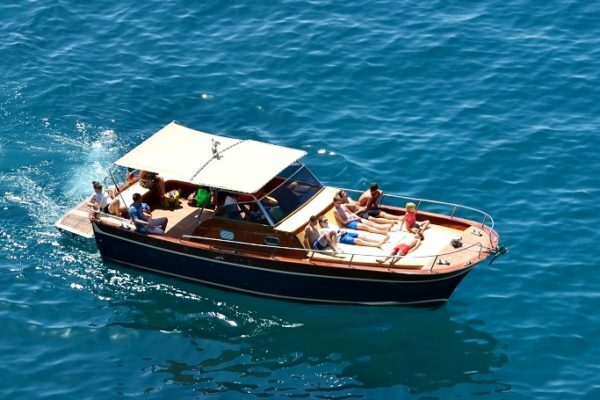 Wide spaces and beautiful sun beds are the best details of Gozzo Anemone, an ideal solution to spend unforgottable sea experiences, running along the Amalfi Coast at a relaxed speed . 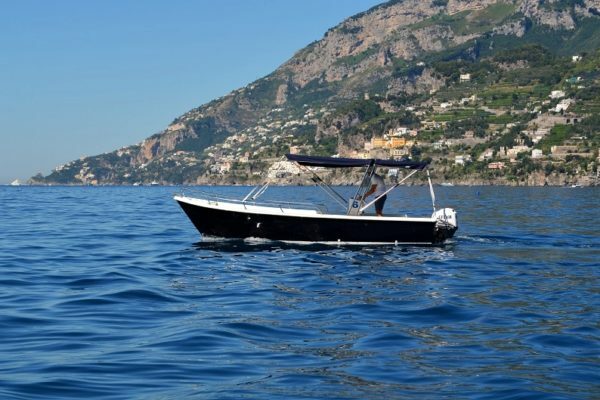 The Robalo 26 CC joins the Capone Servizi Marittimi fleet starting from the summer 2018. 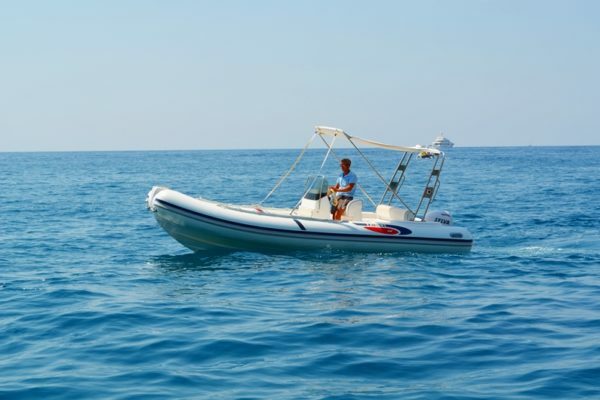 A fiberglass speed boat, Fisherman style, of about 8.00 mt., characterized by great performance and sports shape. 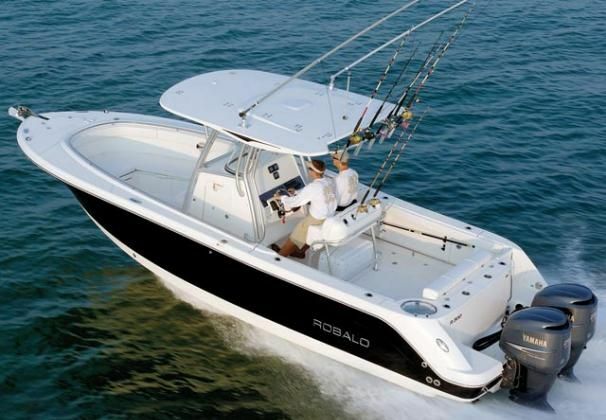 The Robalo 26 CC has N. 2 outboard motors of 250 HP, for a maximum speed of about 50 knots. 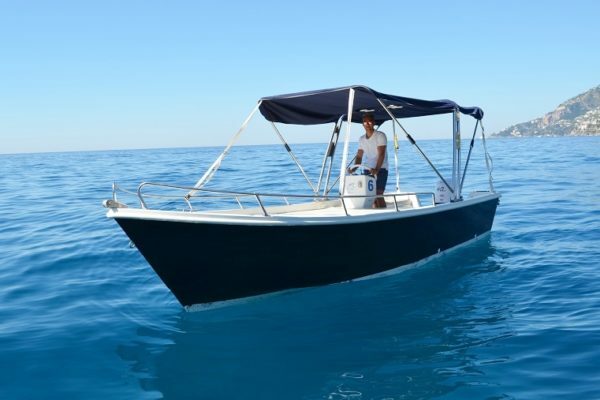 Designed like a deep water fishing boat, the Robalo 26 CC is the ideal solution to guarantee you an utmost comfort and stability, also in exceptional sea conditions. 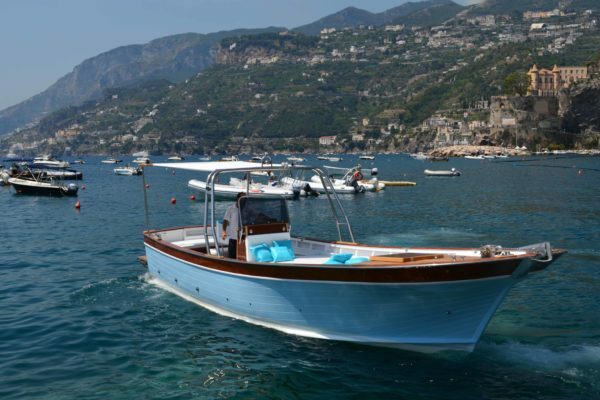 Capone Servizi Marittimi is very proud to present you the new Gozzo Sorrentino 2017, named “Aurora”, realized by the masterful work of a local sea artisan. 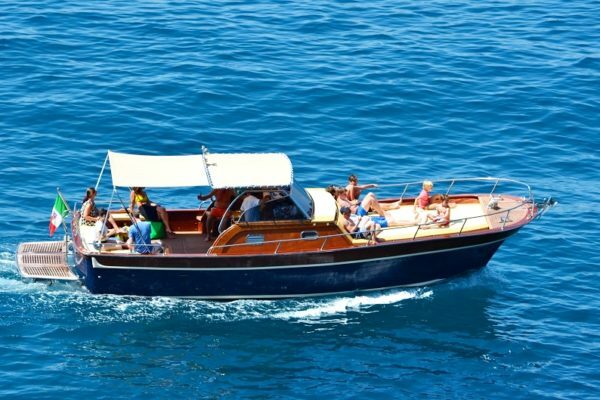 The comfortable and elegant Gozzo “Aurora”, of about 10 meters, was born to meet the need of wide spaces and complete relax of our guests. 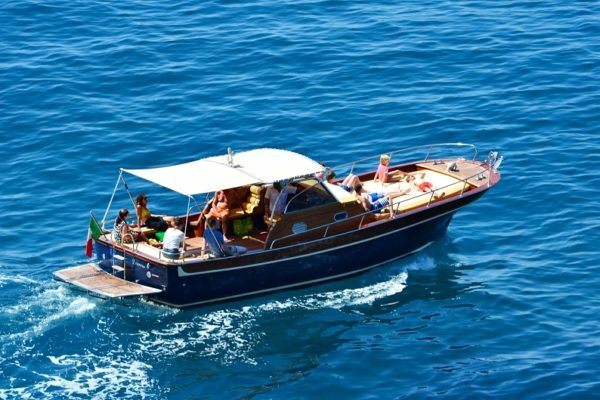 Our Gozzo “Aurora” is completely equipped with sun cushions, sun covering, outside shower, water staircase and bathroom on board. 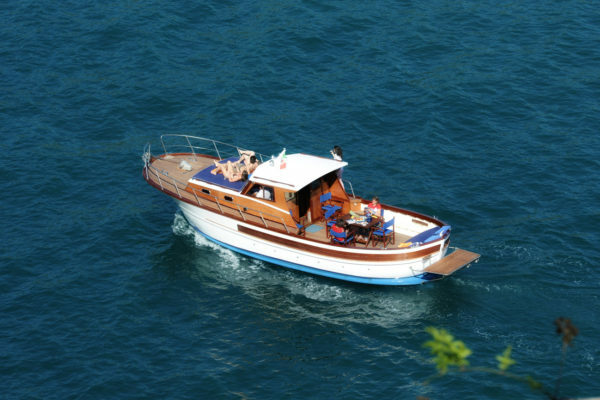 Capone Servizi Marittimi is very proud to present you the wonderful Gozzo Sorrentino, of about 10 mt., named “Ginevra”. 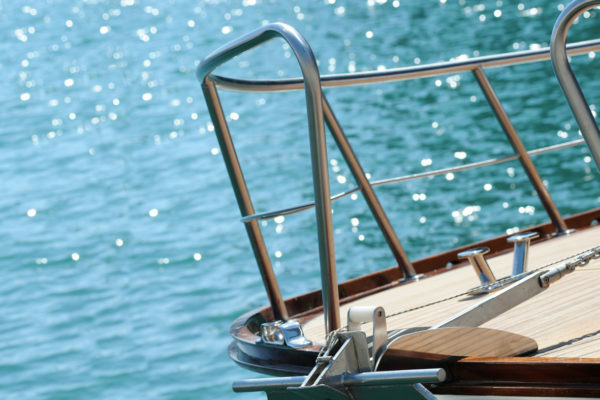 A complete restyling, in the year 2016, made it, in its uniqueness and beauty, the pride of the company! 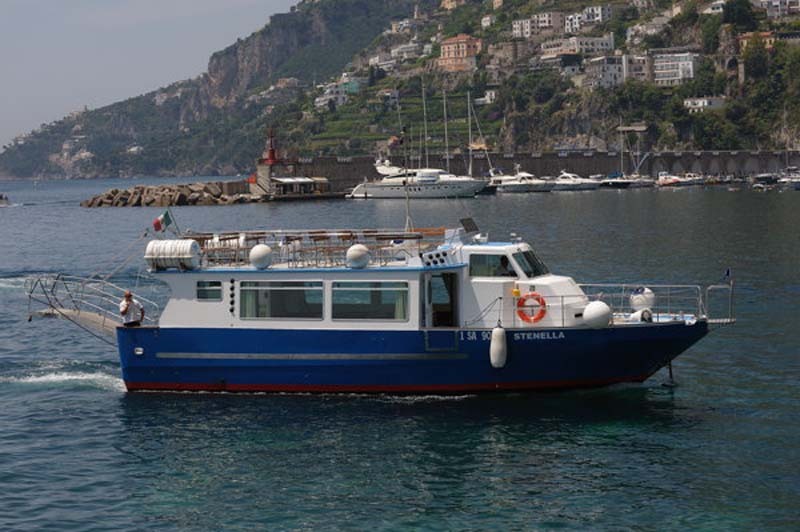 The comfortable and elegant Gozzo “Ginevra” is completely equipped with sun cushions, sun covering, outside shower, water staircase, bathroom on board, bar service and cabin and disposes of very large outside spaces, able to gaurantee, to all its guests on board, a full comfort. 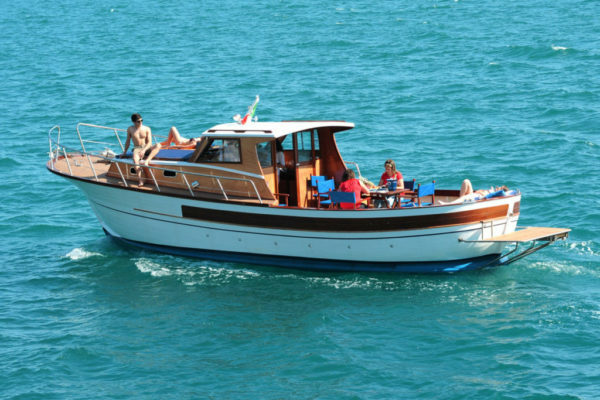 Typical Gozzo Sorrentino of about 10 mt., completely equipped with sun cushions, sun covering, outside shower, water staircase, bathroom on board, bar service and cabin. 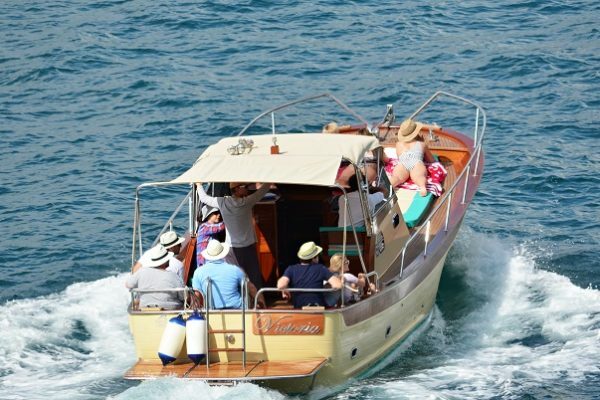 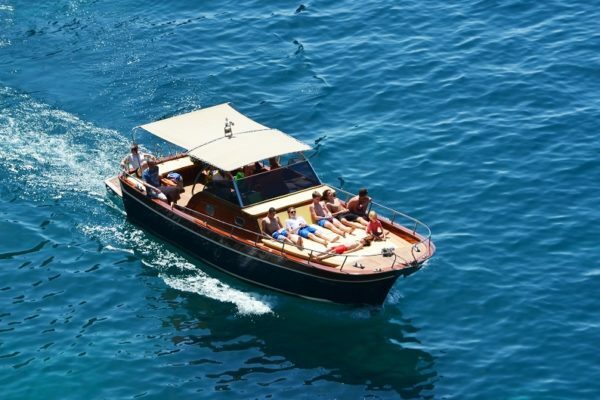 An extremely comfortable and ideal solution to spend unforgottable and relaxing sea experiences, enjoying the most extraordinary Amalfi Coast views, welcomed by the wide equipped spaces of this tasteful boat. 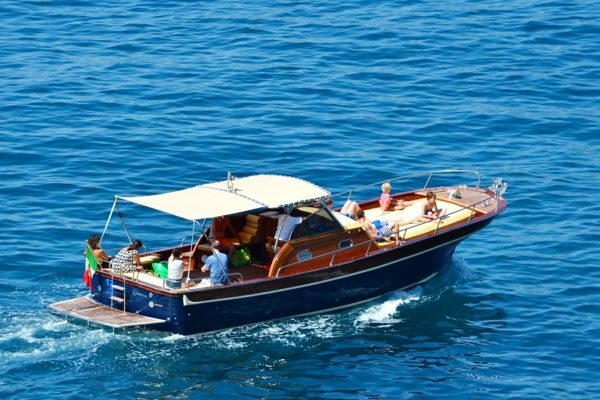 Typical Gozzo Sorrentino of about 10 mt., born in the year 2014 thanks to experienced local artisans. 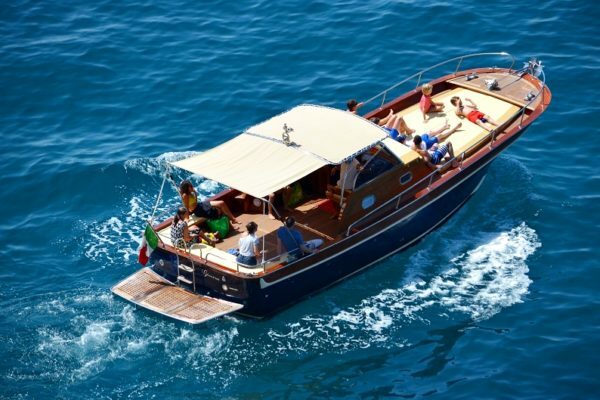 The Gozzo, named “Victoria”, completely equipped with sun cushions, sun covering, outside shower, water staircase, bathroom on board, bar service and cabin, disposes of very large outside spaces, able to gaurantee, to all its guests on board, a full comfort. 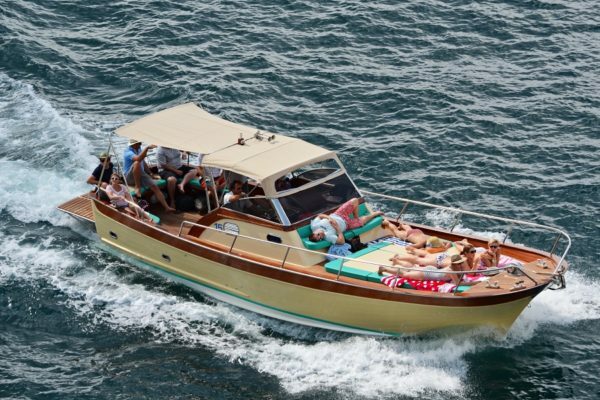 Ships assigned to the transport of groups up to a maximum of 400 people. 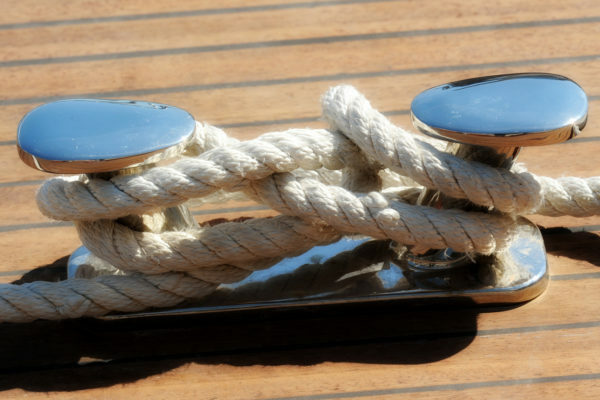 Capone Servizi Marittimi will be able to find and submit you the solution suitable for your needs. 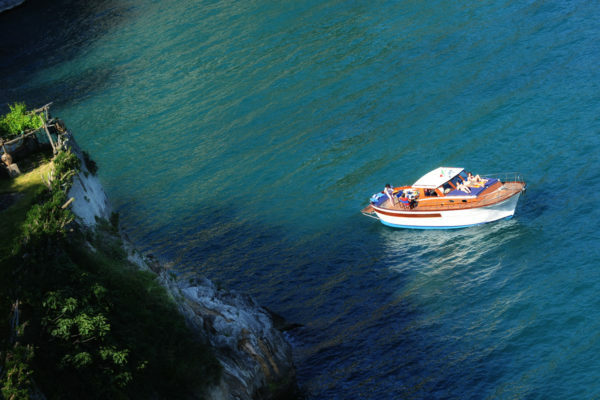 Let us know what are your preferences, in which itinerary you are interested, in order to send you a personalized proposal suitable for your needs. 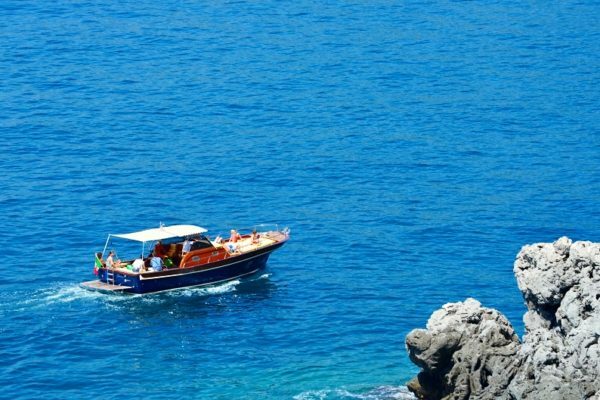 The best of the Amalfi Coast, Sorrentina and Capri.